Are you ready to jump into decorating for Christmas? 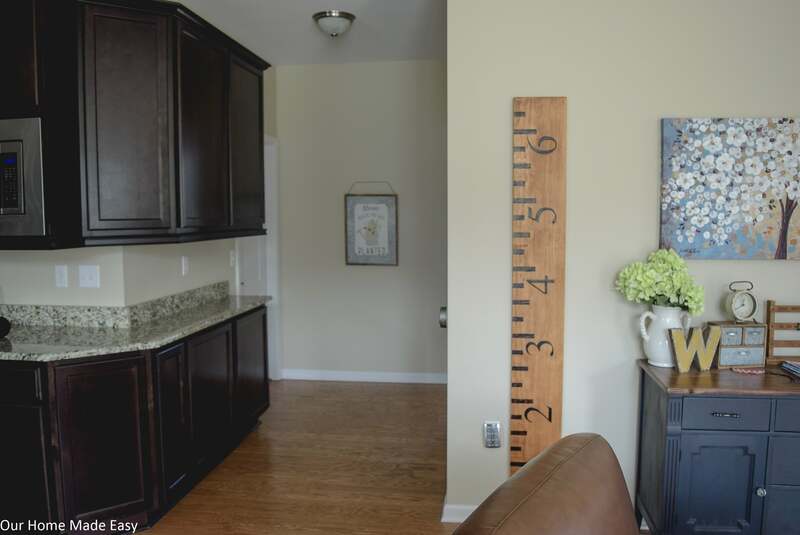 Before you start, prep for just a few extra minutes to make your entire decorating task a little bit easier to manage. 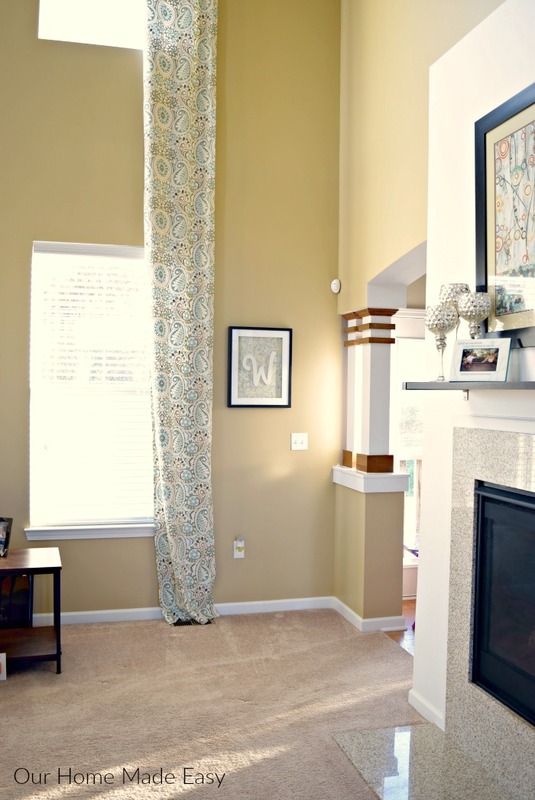 Enjoy your decor and don’t feel overwhelmed by allowing yourself to put away the decor is normally out all year. And we are totally not sorry! I’ll tell you, there is nothing better than waking up in the morning, enjoying coffee, and watching the lights twinkling. And I can’t wait to share our new Christmas tree with you! But right now, you’ll find totes stacked around the house. I’ve left a clear path in between the kitchen and living room. We aren’t quite holiday ready. Are you starting to pull out your holiday decorations this weekend too? 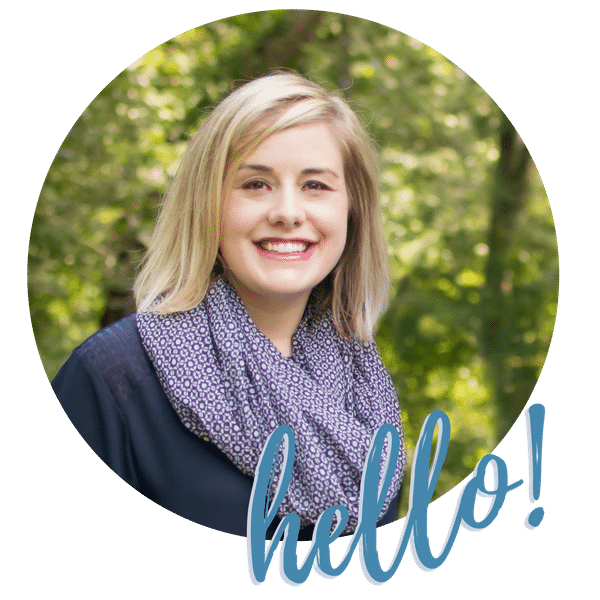 If so, I wanted to share my favorite tips for things to do before you start decorating for Christmas and the holidays. I’ve found that doing just a few quick things can turn all the chaos of totes into something like organized chaos. When you’re putting up a Christmas tree, your furniture may need to move around to accommodate the tree. Chairs can move on the other side of the couch. End tables may need to be relocated to another living space. Sounds a lot like our home. Admittedly cleaning out from under my furniture is not my strong area. I am really good at keeping the house straightened up, but not really great at deep cleaning. If so, take advantage of the change of the holiday decor, and use it to pull out the furniture. And you’ll surprise yourself, it doesn’t take but an extra 10 or 15 minutes. And you’ll feel so productive after it’s done. Slide your furniture into its new layout! Who knows, it just might spark you to move around other rooms, too! It‘s a fun way to change your decor, get you excited, and without spending a dollar. 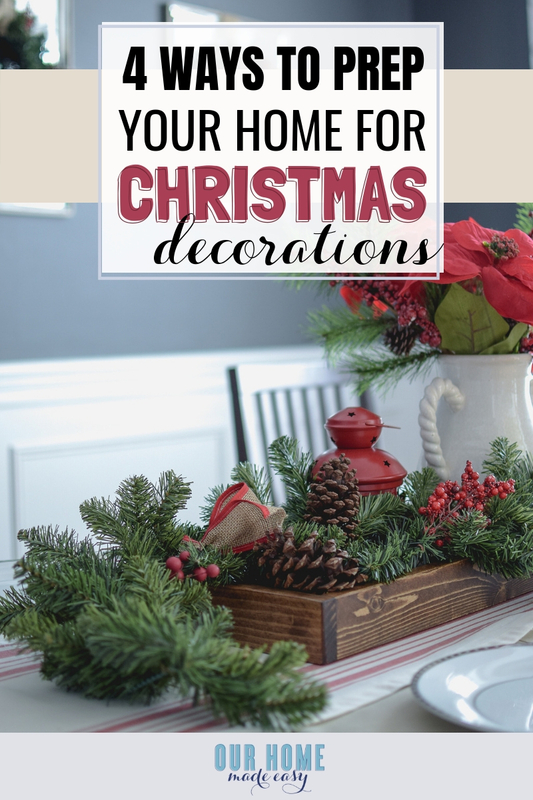 Before you start adding your snowmen, wreaths, garland, or little farmhouse houses to your home, you’ll want to prep your tabletops and mirrors. I love a great wreath on a mirror. Inside our dining room and entryways, you’ll find a wreath on every single mirror. But before I hang a new wreath, I like to use some of my favorite glass cleaner and lint-free wipes to just give everything a once over. 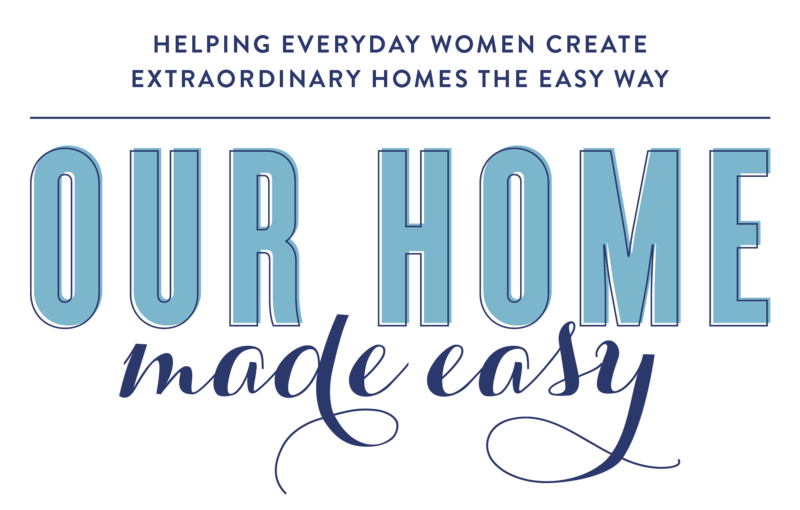 Before you start adding your decor, pull everything already out on your end tables, entryway, and trays. Give it all a good dusting. And set everything aside, for the next tip. 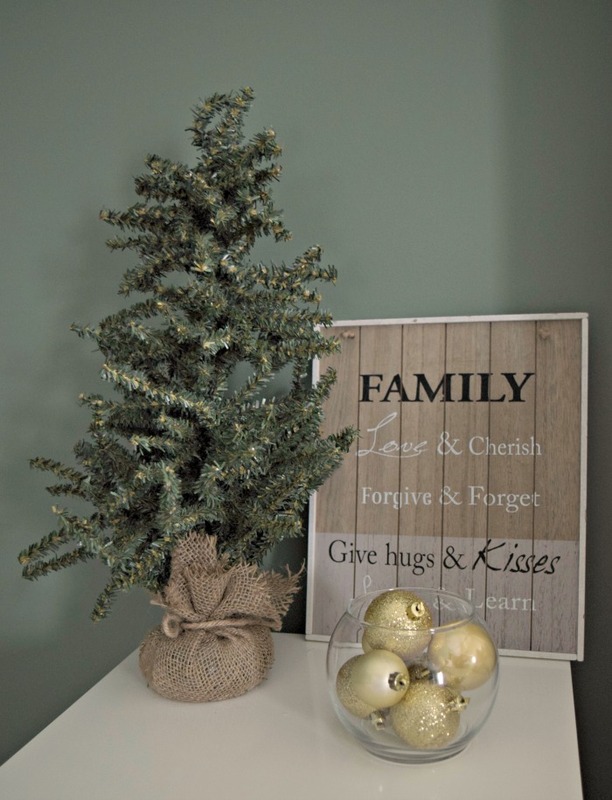 Does the thought of adding your Christmas or holiday decorations to your space feel overwhelming? Can I suggest one small change that makes it less overwhelming? 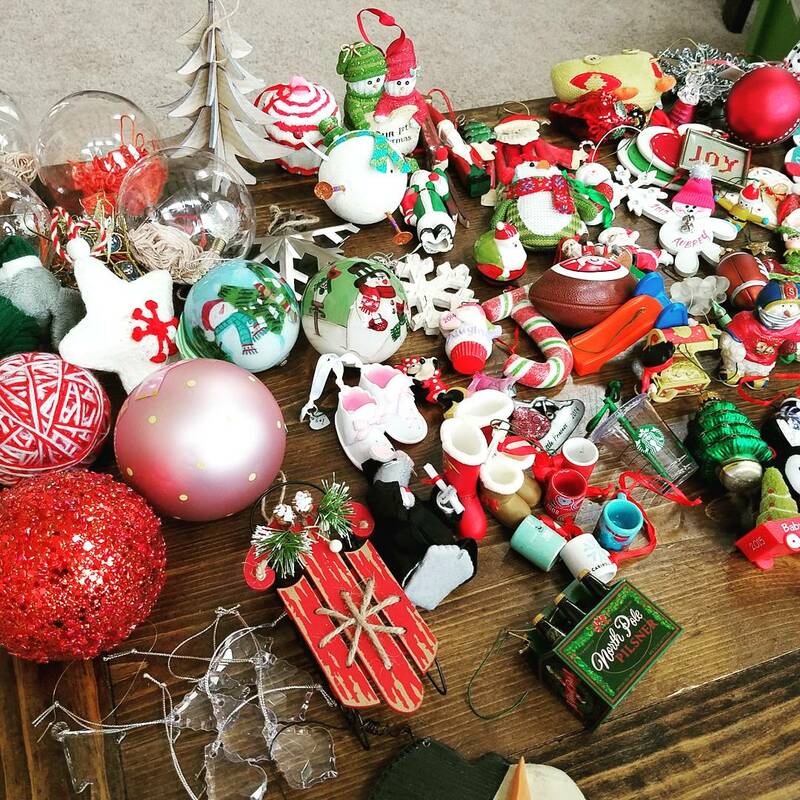 Before you bring out your decorations, put away all your existing decorations. 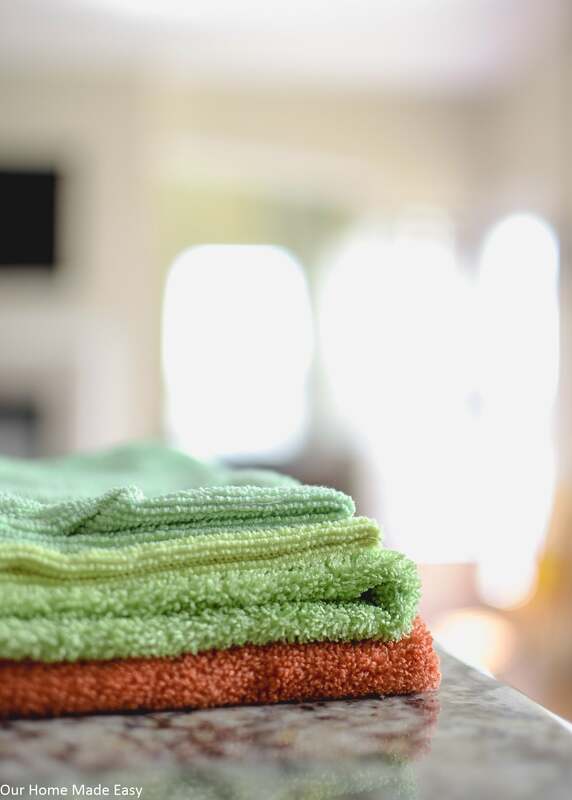 Doing this will give you instant-free space. And give you everything you need for decorations— space. 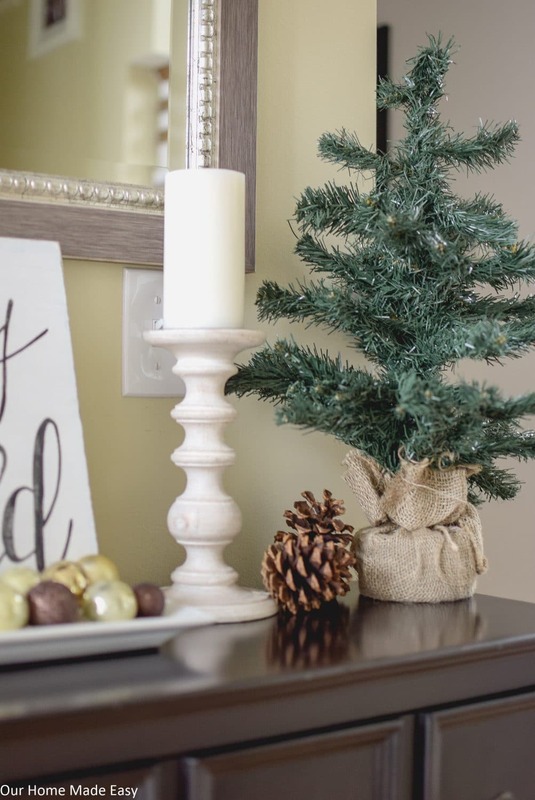 Once you have your new seasonal decorations out, fill-in any spots with your favorite decorations. 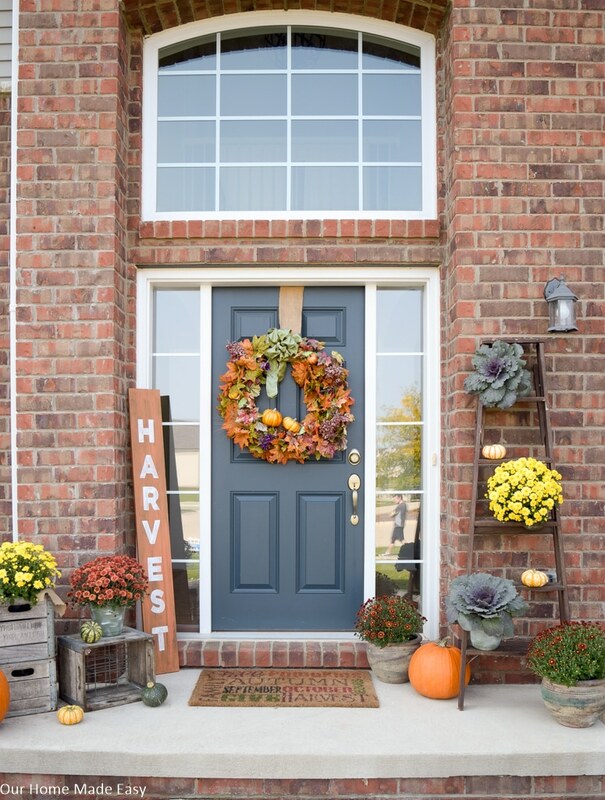 We all love a great fall front porch. The mums, the fall signs, and the fun cornstalks. However, after two or three months, these decorations are ready to come down. Before you start decorating for December, clear your front porch. This means that you throw away any old plants, bring in signs, and broom sweeping the entire porch. If you have tables & chairs, give them a quick wipe down before you start adding those pretty holiday touches. Keep the overwhelm of decorating to a bit more manageable by opening one tote at a time. Pull out everything onto your dining room table and set up a command center. Once your tote is empty, gather all your paper supplies & boxes, and place them back into the tote. Then take your tote and put it back into storage! Related: Easy Storage Shelving for Less Than $70! 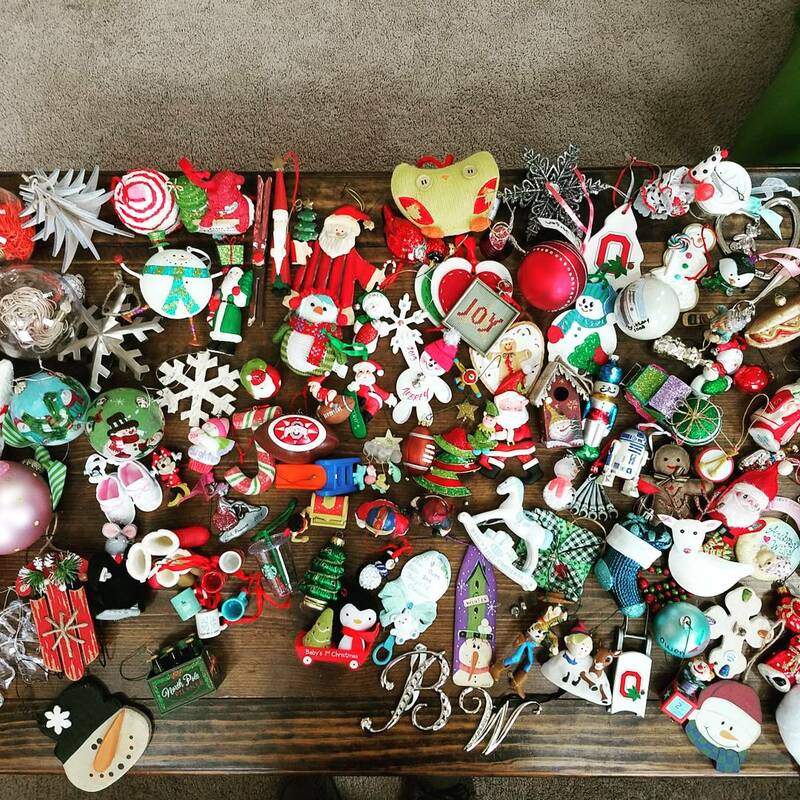 Not to mention– I can quickly let the kids know which ornaments they can hang rather than they go through the tissue paper themselves. 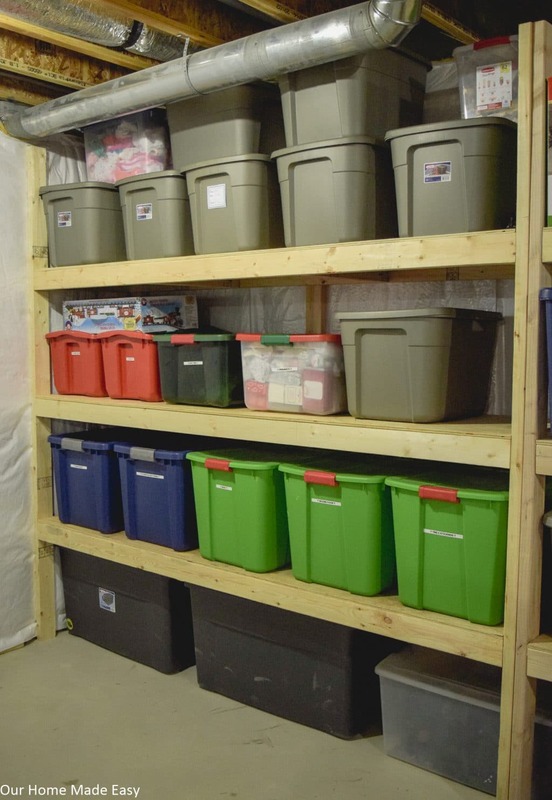 If you are unpacking your storage totes this week, I hope these few tricks will help you look forward to the project— not dreading it. 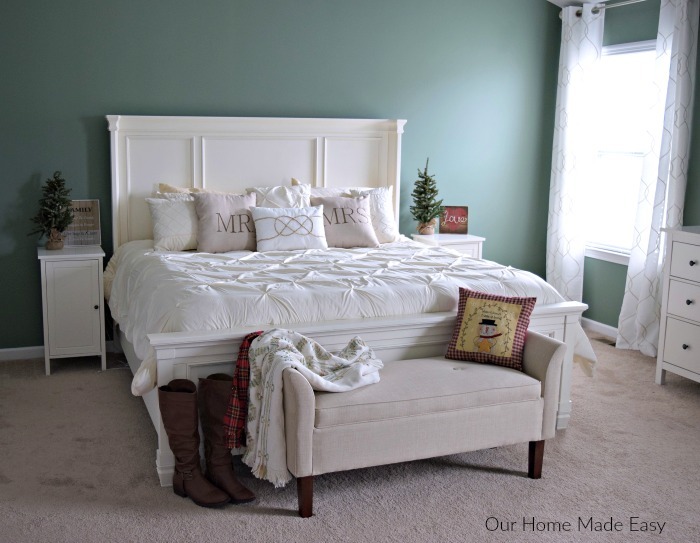 Enjoy your decor and don’t feel overwhelmed by allowing yourself to put away the decor is normally out all year. 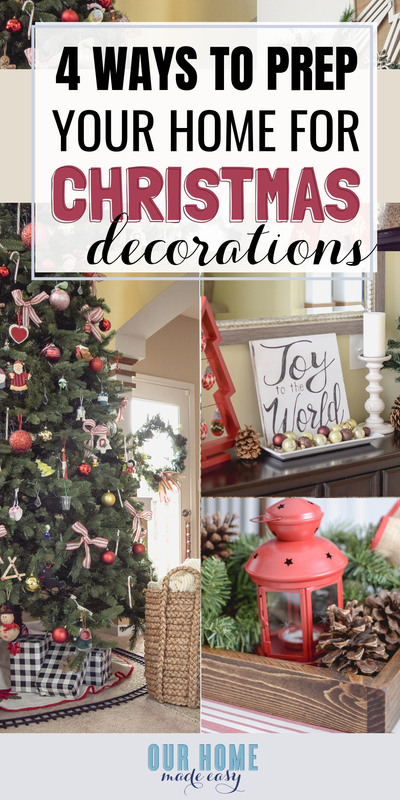 Get your free holiday decorating guide here! Perfect timing! I pulled out all the Christmas bins this weekend and put them in the living room. The tree is up but still bare. I was feeling a little overwhelmed by the whole Christmas decorating. 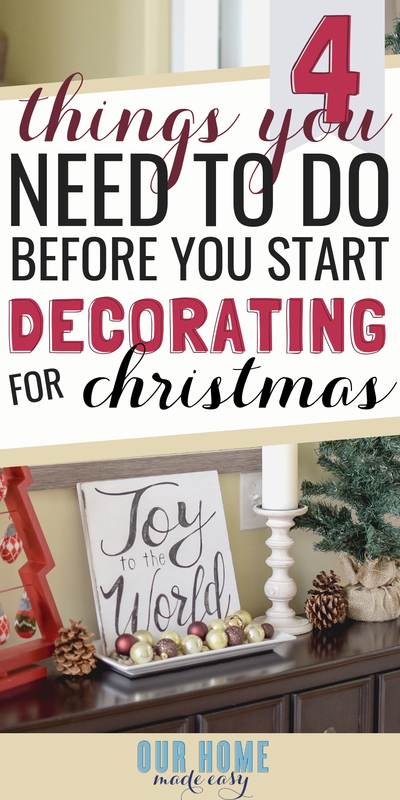 These are great tips and helped to motivate me to get the Christmas decorating done! Thanks Brittany!